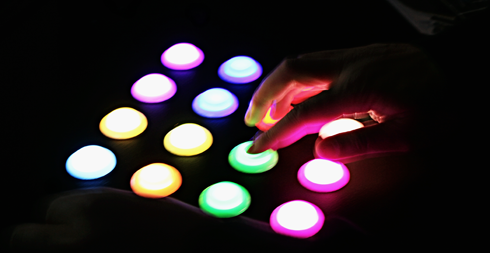 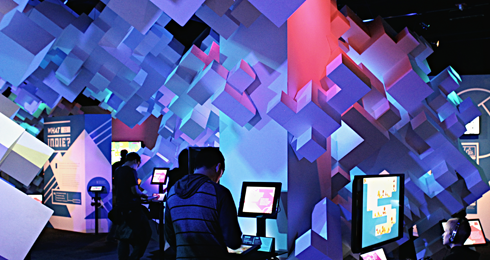 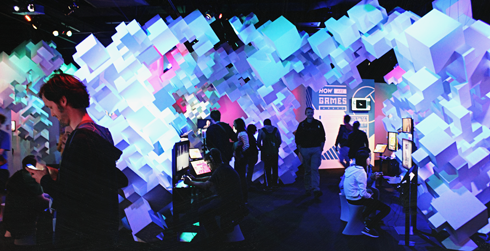 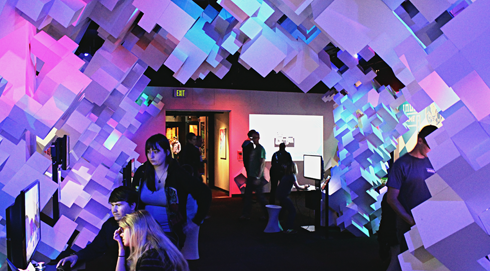 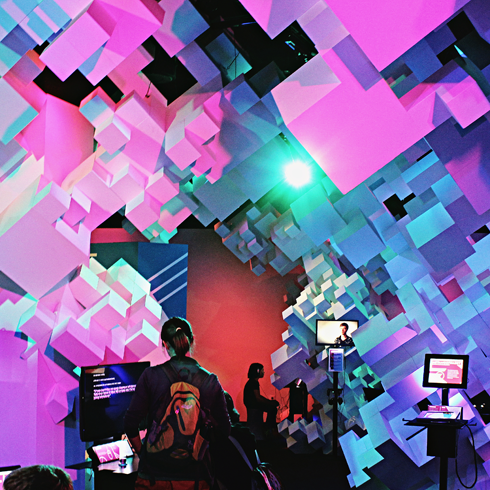 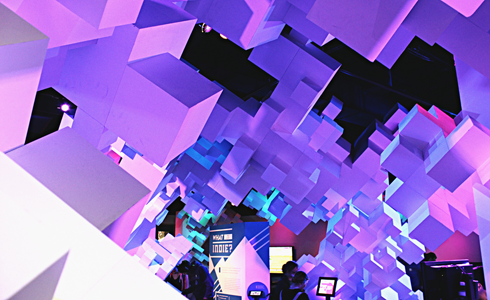 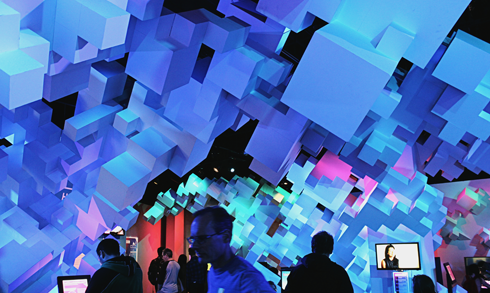 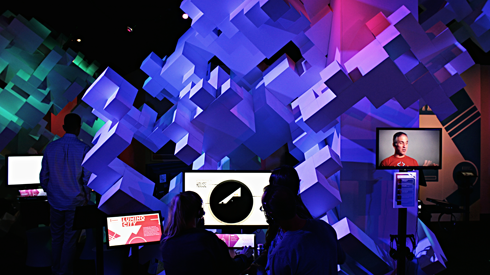 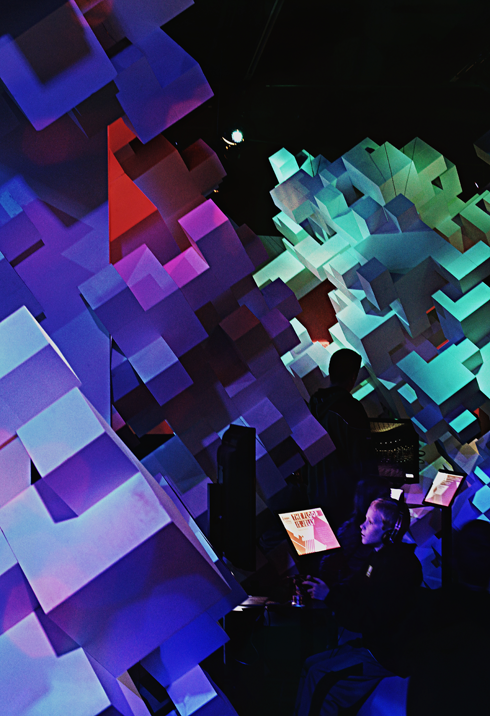 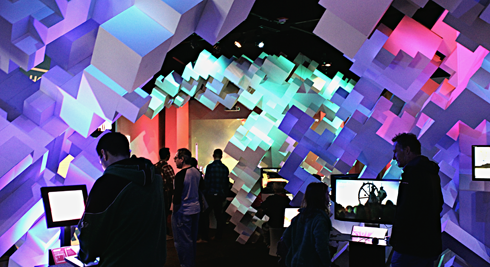 The pixel inspired theme of the Indie Game Revolution at the EMP Museum in Seattle is pretty eye-catching. 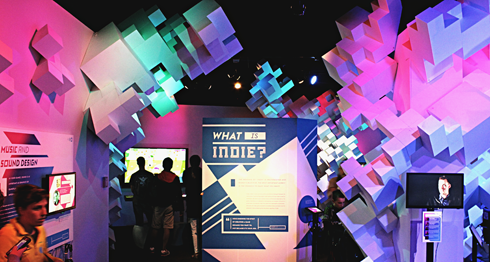 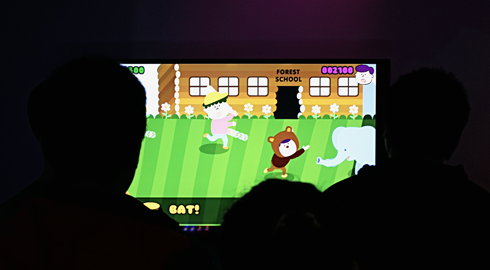 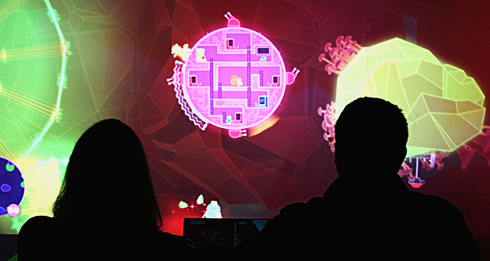 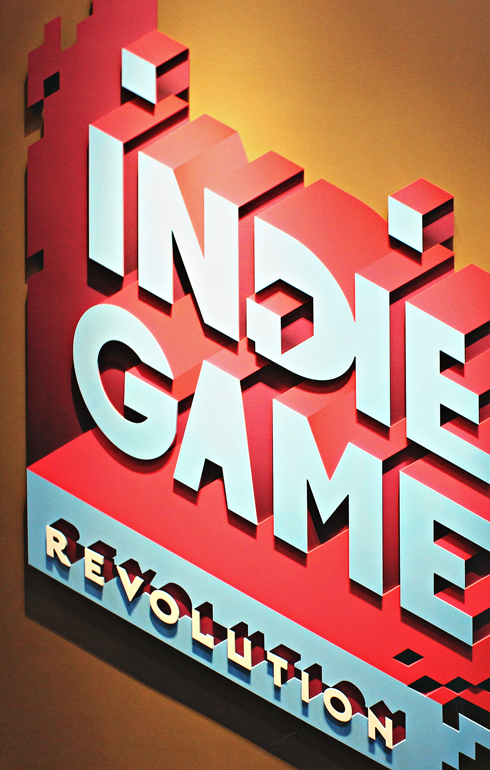 Featuring a variety of indie games to play and explore, Mike and I had to come back to the EMP on our pacific coast road trip to see what was new. 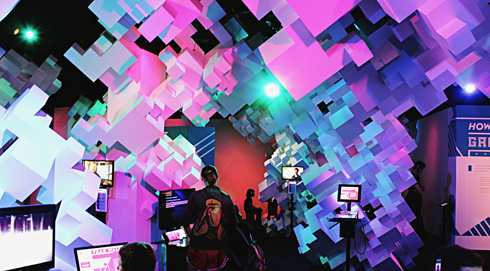 These are a few shots I captured of this awesome pixelated environment.